Can anyone explain to me what these are and what they do (see photo)? They are on Belle, my pawnshop cello, and are Paristro Chromcor C and G strings. One was on each string when I removed them from the package. I can’t find any information on them anywhere. I was thinking it might have something to do with dampening unwanted vibration sound, so I left them on and kept them below the bridge. I love the strings. I have Paristro Chromcor for the C and G strings, and Passione D and A strings on Belle. It is a lovely combination for this cello, and was recommended to me by Paristro. I just don’t know if I was supposed to leave those little disc thingies on the strings or not. This is the cello I am giving my dear niece/goddaughter/birthday mate this weekend, providing she will be able to drive up to visit her parents. I would like to be able to explain to her what they are for and maybe she should use them on future non-Chromcor C and G strings? Or maybe, I should remove them? Or what? They sound great, so I don’t think they are harming anything, but don’t know if they actually do anything. I Googled every term I could think of. 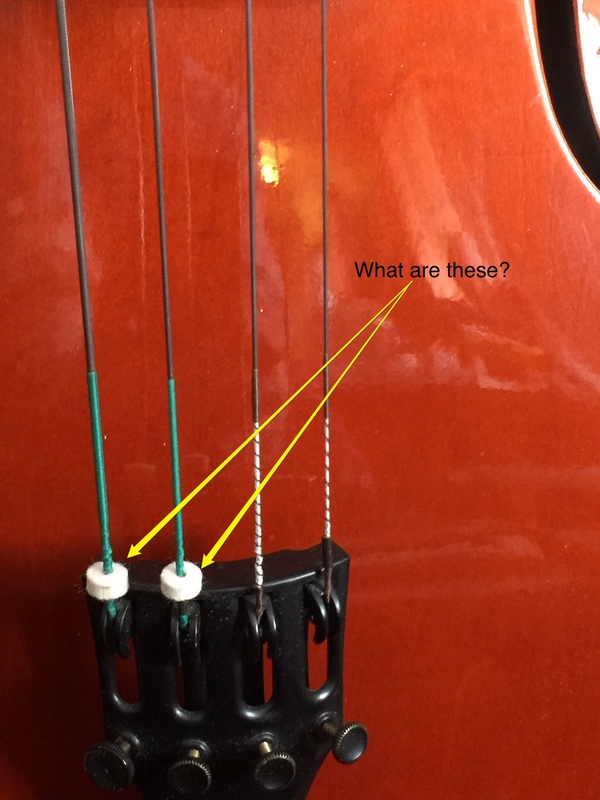 @Fiddlerman Do you know what those things are on the Pirastro Chromcor C and G cello stirngs in the photo above? My niece will be picking up her cello this weekend and I am hoping to be able to tell her. I don’t know why nothing is mentioned about them on the package, or Pirastro site. I have tried Googling everything I can think of. Nothing. I am not sure if my thinking above is correct. I am not sure if I should remove them, or what. They were threaded on the strings when I removed them from their package. Thanks for any info. A lot of people viewed this post, but apparently nobody knows, so I decided to ask you directly. They must not be on Chromcor C and G violin strings? I'm wondering if they serve a sort of similar purpose to the plastic "shields" you sometimes find on 3-pin electric plugs when you buy a new product (well, that's what often happens in the UK - don't know if you have the same there. Say you bought a toaster, nice shiny brushed-metal finish... the little plastic shield is for protective purposes to prevent, during storage and shipping, any cosmetic damage caused by the pins of the plug rubbing against the product. 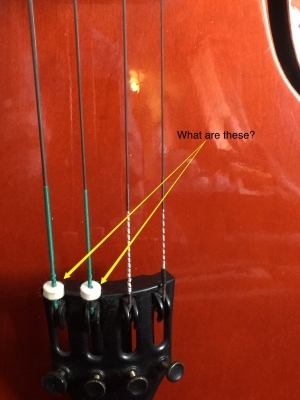 So, my VERY BIG guess (having never fitted an individual cello string) is that perhaps, when slipped right down to the ball-end winding, it's just to limit any possible contact with the cello body during fitting - and then once fitted (you described them as foam), can be literally just torn-off ????? 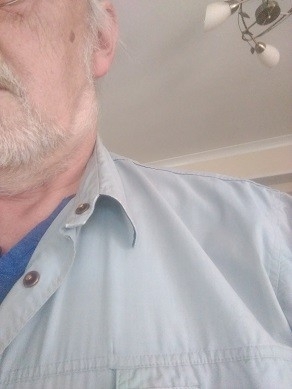 Frankly, I'm really at a loss as well, my observation is clearly Quixotic - somewhat like tilting at windmills - I mean, like what's the point, they couldn't do any real damage, could they ??? Hahahahahaha I give up on this one as well ! OK - not given up yet.... Perhaps they are nothing to do with my guess above - here's another one - being foam rubber/plastic I can't see them having any noticeable dampening effect - BUT - is it possible they could be for placing above the nut, i.e. in the peg-box itself where the strings all get closer together - I imagine with strong vibration and "not-quite-cleanly-fitted/wound-on-peg-strings" you may get occasional buzzing sounds during fff playing? 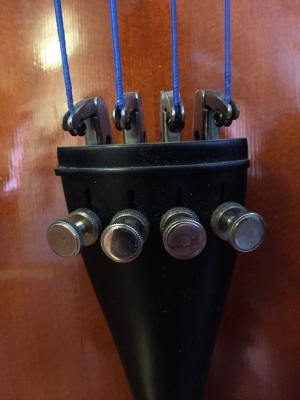 The little foam bits would just compress themselves between the strings in the peg box, limiting any potential inter-string contact within the box ?????? Go on, someone, more ideas !!!! The piece of felt is to place after the ball just as you did it. It should prevent the possibility for a metallic "ring" between the ball and the tailpiece when the string is fitted. It has a little influence on the sound as it dampens the sound a bit. Some musicians use it, some don’t. I have never purchased a cello string that had these before. Pirastro is very good at answering questions. I try not to bother them, for a very strange reason. Often times they send me free sets of strings. I don’t want to take advantage. But, I am loaded with questions! We were both on track with our guesses. You were saying the peg end, I was at the tail end. I was not thinking of a “ring” sound being eliminated, though. I was thinking more of a scratchy sound being eliminated. I think a “scratchy” sound was coming to mind because of the thickness. I think thin items causing ringy sounds, D and A cello strings. I don’t think they are dampening the sound. They truly sounding wonderful. 🙂 @cid - well, there yah go - wouldn't have thought of that ! @cid , did you provide them with the photo of your installation? If I were reading their response as a section in an instruction manual, I would have placed the felt immediately after the ball end as I secured it to the fine tuner, thus compressing the felt on the fine tuner. In this position, no metallic sound from the ball would be possible and the felt would not dampen sound from the after length of the string. No idea if I am right, but it has a logic. @Irv I sent them the photo I used in my post above. If I am reading what you are saying, the felt between the fine tuner and ball, I would think that would cause instability of the string. It would be compressing and decompressing as you play. I have never had that issue these are supposed to take care of, but I am not a professional. I am not doing those strong abrupt bowing techniques my instructor demonstrated last lesson. I thought that might cause it when I received my email response. We were talking about something and he did it. Pretty cool. He did not have ringing and did not have these on his strings. Probably depends on a number of factors. I also don’t think the string would be securely settled in the fine tuner if it was between the tuner and ball end. They are a rather dense felt, but will compress and decompress. At any rate, I now know their purpose. I have two or three other sets of these strings and will have more of these little felt pads. @Irv I googled again since I now know exactly what to google for. Found info. They are used when you do not have fine tuners. Some use it to protect ths string, some for the reason above. They do go between the ball and the slot or hook for the ball when not using a fine tuner, or using an old early model fine tuners. Fine tuner from my 1983 Andrew Schroetter German made cello. Last year they were made in Germany. It is the old heavy duty wood fine tuner. I can see why the felt pads would be used, and also how they would be installed. I can see that they would eliminate metal to metal noise. The other photo is from my brand new cello and has the newer fine tuner like the one the one in the photo abkve that has the felt pads on the wrap. I can see why they would not and could not be used on these newer fine tuners. When I was checking them out, I was thinking they were a dense foam, but Pirastro referred to them as felt. They are a dense smooth felt. The felt I have for my sewing and craft projects is made from recycled plastic, rather than wool felt. It does not feel like the felt discs on the strings. I, also, do have some wool felt, but it does not feel as smooth or dense as the discs on the cello string. So, the discs being made of felt never crossed my mind. I thought they were a foam until Pirastro said they are felt. When rechecking after Pirastro referrd to them as “felt”, they are, indeed, felt. It was pretty neat discovering this. 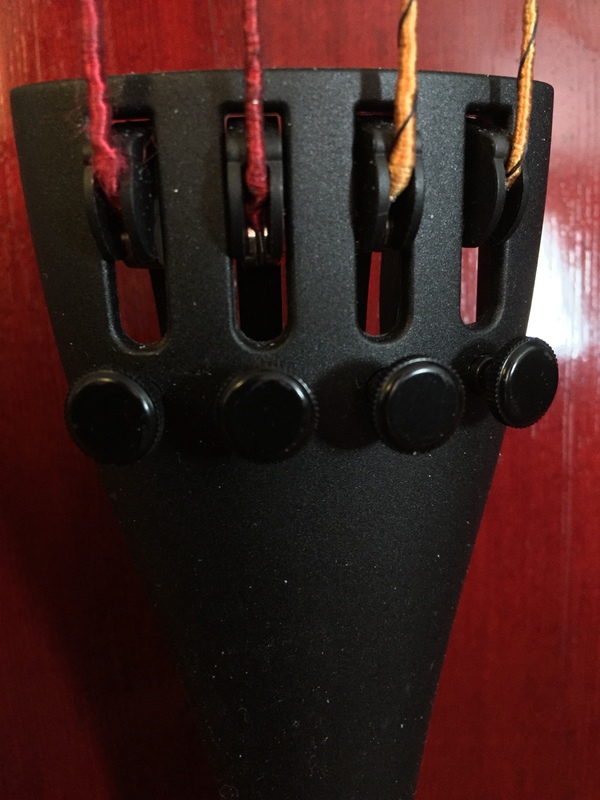 I might try them on Ada, the Andrew Schroetter with the old style original ebony tailpiece with fine tuners, pictured above. It has new Pirastro Aricore strings right now, so won’t need changing for a while. What puzzles me is why Pirastro does not put those on their models of cello strings. They are not on the Aricore strings or the Perpetuals. Oh, well. Puzzle finally soved. Thank you, Irv and BillyG. This was interesting. I had at one point a violin set with the same kind of felt on one of the strings (pretty sure it was the A string, but I could be wrong.). I believe it was Eudoxa, which is a Pirastro make also. Kinda neat to know what it's for. It would be neat if they mentioned what they were for somewhere in the packaging.😁 Sure would have saved me a lot of searching. You know, some things, which should be obvious (unlike @cid 's little felt pads) just make one feel stupid !!!!! Well, that is one reason to take up cello! I have seen many videos of lady violinist and violist playing wearing one earring. When they removed the instrument from the shoulder, you can notice it. I seem to recall reading somewhere, or listening to an interview somewhere, where a lady violinist said she wears only one earring because of the violin. She said she just stopped wearing the one in the left ear because she always had to remember to remove it. It was uncomfortable with the violin up to the side of the face. She also said she heard of a lady catching the left ear hoop earring when bowing, not a happy ending. Not sure how that would happen? Maybe it got hooked onto a chinrest corner? Maybe it was a huge hoop earring that could double as a hoola hoop if she needed to exercise? Wish I could remember the details. That was a few years back before I took up violin. I did remember that part, though, when I started violin and was happy I am not into jewelry. I can’t figure it out. I thought my bowing was weird, but I don’t get anywhere near my ear. @cid and others. I am finding a definite disconnect in German firms between engineering and marketing. Examples are the Wittner Isny, Fiedler cello bow clamp, and now these string end felts. The “clique” is in the know and every one else has no need to know. Sorry for being behind in checking posts. This is for protecting the tailpiece from the ball. However, I recommend removing them. They reduce vibrations.